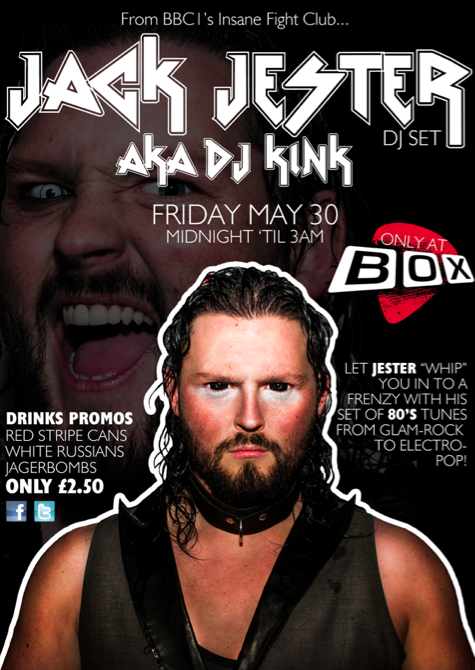 Jack Jester from the BBc1 documentary “Insane Fight Club” is DJing in BOX on the 30th May! Midnight til 3am! Mon down for a dance!